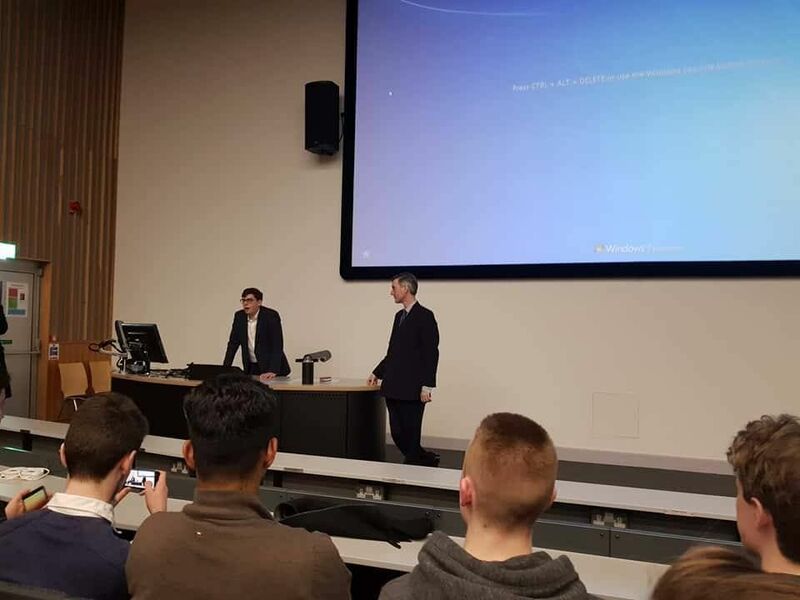 Last night, North East Somerset Member of Parliament Jacob Rees-Mogg addressed a 400 strong audience of Bristol University students at the biggest political society event in recent memory. 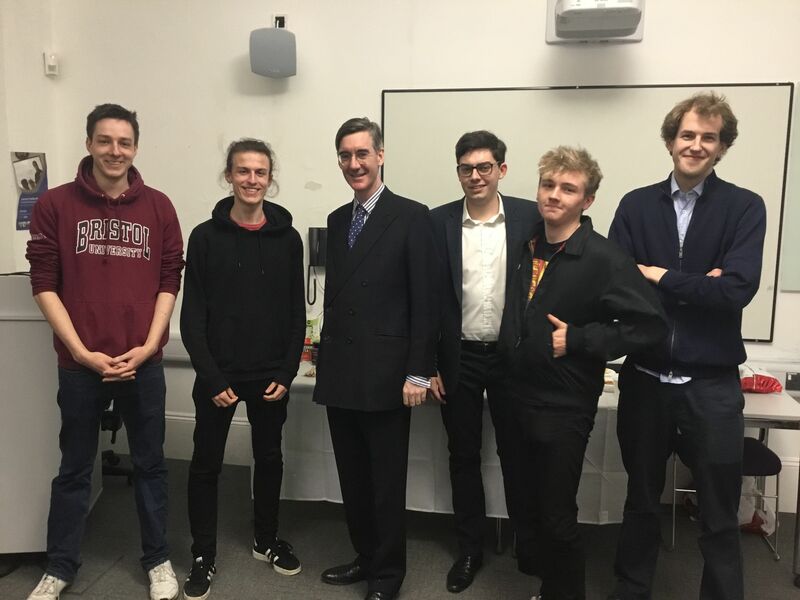 A man who has spawned a thousand memes, 'the Mogg' spoke to the capacity crowd about freedom of speech and individual liberty, following attempts to silence him at UWE a fortnight ago. Event organisers Bristol University Conservative Association (BUCA) were subsequently taking no chances. The venue, Priory Road lecture theatre, was dubbed 'Fort Knox' by one event organiser because of its heavy security presence. Bristling with police and UoB campus security services, all attendees had their bags searched upon entry and a number were turned away for not having tickets. A "Rees Mogg – NOT Welcome HERE" Facebook event attracted around a dozen protesters who initially picketed Wills Memorial Building- ironically where Labour peer Baroness Shami Chakrabarti had been speaking at the Bristol Law Conference. Outside one enthusiastic protester with a loudspeaker chanted 'Mogg, Mogg, Mogg, out, out, out, human rights, human rights, human rights, in, in, in' whilst others cried "Rees-Mogg go away, racist, sexist, anti-gay!" 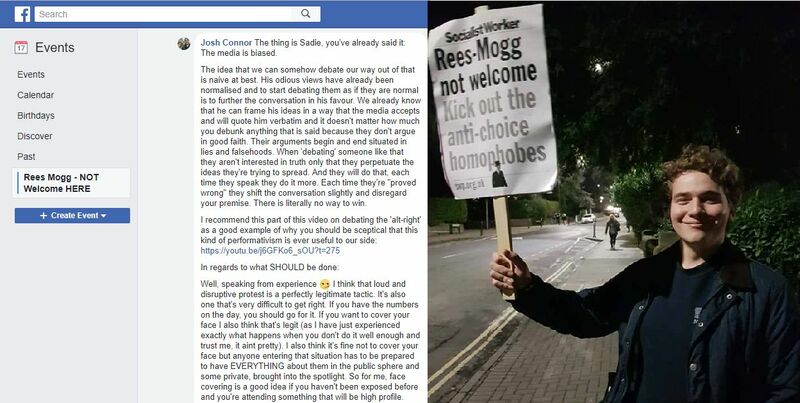 Josh Connor, one of those involved in the UWE melee and described by The Daily Mail as a 'Far-left protester' was one of those offering advice to protesters on the aforementioned Facebook event. One of the major issues for under 40s at the moment is housing. How would you go about tackling that, would you go about that through liberalising planning reforms for instance? "Yes, planning needs to be liberalised. The reports today that the chances of middle income people having a house have halved in 20 years is deeply concerning. But it's very important and it needs to be reversed because it is a natural ambition for most people to own their own homes and politics is about allowing people to do what they want to do and removing obstacles- as I was saying in my talk- and this is currently a major obstacle. The planning system makes it very expensive to get permission and doesn't then necessarily build the type of houses that people want. So I think we need to get on with changes and we need to recognise that we cannot protect every blade of grass." During the last three years at this university there hasn't been a single Conservative frontbencher who has come down to speak. 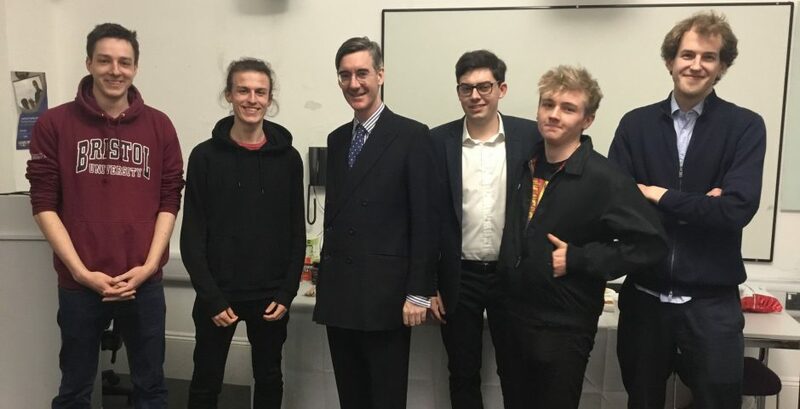 Do you think more Conservative MPs and government ministers need to be following your example and going out and speaking to students at campuses across the country? "Oh yes, I would strongly encourage them to do so. I realised at the last election that I personally wasn't doing enough at universities and therefore have accepted many more invitations from universities than previously. 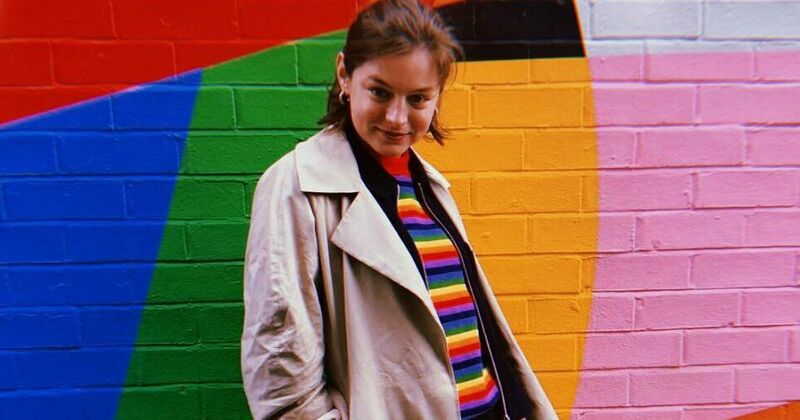 It's not always easy to do- Bristol is very easy for me- but many universities are further away but I think it is important that the Conservative message is put out there." Corbyn has expressed fears about Freddos' "excessive profit-making"
Yesterday Mr Corbyn was talking about looking at reducing the price of Freddos by potentially starting a review after an election. This is an issue close to many under 30s hearts, who have seen the price of Freddos rise repeatedly- I know you're a big fan of Creme Eggs. How on earth does the Conservative Party counter that? Do you have any comment on that? "It's not for the Government to set the price of Freddos or Creme Eggs or any other particular commodity. It's to ensure that there is the right economic framework which leads to stable prices and if we took the tariff off food, clothing and footwear, we would make lots of goods cheaper in this country. So it's about getting out of the Customs Union and delivering good economic policy and not just picking off one particular thing. I don't actually know what Freddos are!" "I've missed them but I'm sticking to my Creme Eggs." Has this article inspired you to follow the virtuous path of student democracy and all the rewards that it brings? If so, why not stand in the forthcoming SU elections? Find out more about this no doubt fascinating career path here.